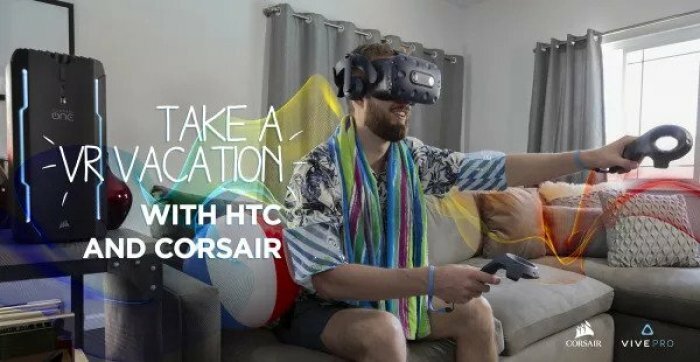 Corsair has teamed up with HTC to gift one of their fans with brand new VR headset! To enter in their latest HTC VIVE Pro VR Headset Giveaway grab your free entreis by following few simple steps listed down below! VIVE Pro is the most capable and fully featured virtual reality system VIVE has ever made. Designed to meet the needs of today’s most demanding VR users – from expansive office environments and crowded arcades, to the comfort of your living room. VIVE Pro surpasses the bar-setting experience to realize the most immersive virtual reality experience. Lose the cable and enjoy true freedom with the most powerful VR wireless solution – VIVE Wireless Adapter. Unleash the full potential of your VIVE experience with WiGig™ technology. Stand, dodge, fly – whatever works. Prepare for untethered VR beyond 360º degrees. I would like this because my twelve year old has been asking me for an htc vive for about two years now.